Spotted by The Verge, Microsoft today shared on its Japan website that it is launching a brand new 256GB Surface Pro version with Office 2013 and arty Touch Covers in Japan. This is first time when the tech giant offering the Surface Pro with such large amount of storage although on regular basis the company offers 64GB and 128GB versions only. A 256GB model, with Windows 8 Pro and Office 2013, will be made available on June 7th while the other features includes a 10.6-inch touchscreen set at 1920×1080 resolution, an Intel Core i5 processor and 4GB of RAM as standard. 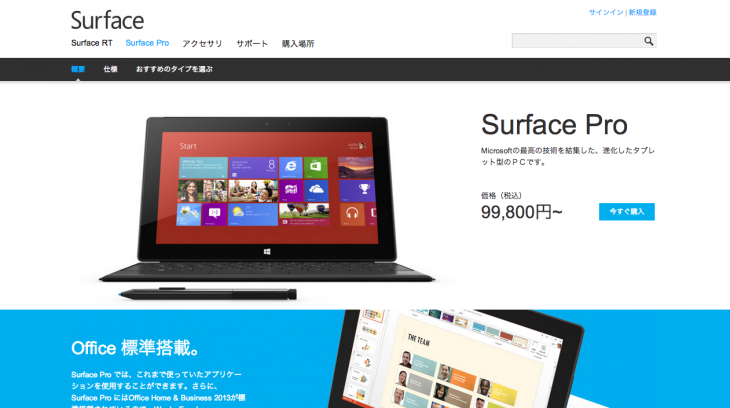 The 256GB Surface Pro cost Japanese buyers 99,800 yen (about $982).